Boy, we love blueberry pie! Blueberries are expensive, though– my local WalMart offers them for $3 a pint. Yikes!!! 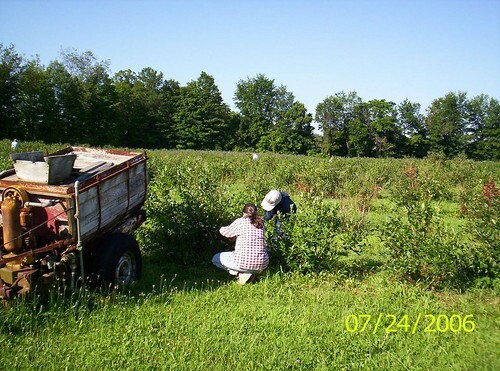 I heard a radio ad about a local farm that offers u-pick-blueberries for $1.49 a pound. So, we loaded up on DEET and went our merry way! 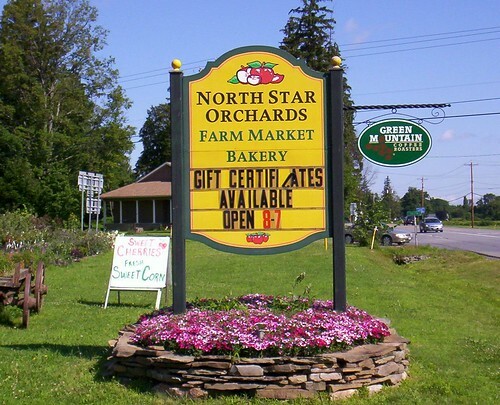 North Star Orchards is on Route 233 in Westmoreland, NY. It is a very nice establishment. 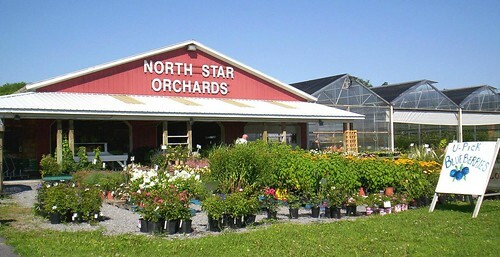 They had fruits and vegetables, landscaping supplies (like mulch, topsoil, etc), a gorgeous array of perennials and trees in their nursery, a bakery with homemade goodies, candy, etc., and, of course, blueberries! They had their own little buckets we could use. 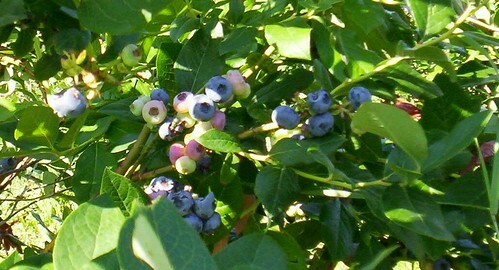 There were already several people in the blueberry field, with more coming. The blueberries were beautiful. We gathered 13 1/2 pounds. The insects loved the berries, too. 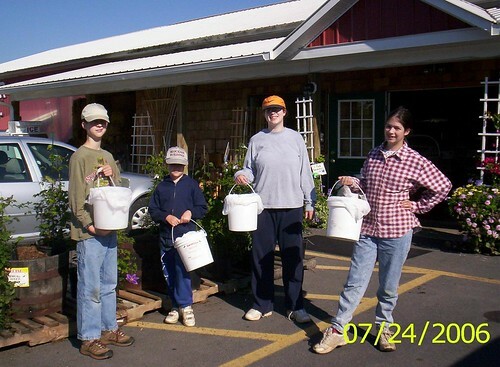 We had to pick alongside wasps, flies, moths, and billions of Japanese beetles. All the bugs seemed to be in a drunken stupor; we could pick them up or brush them aside and they hardly noticed us. The Japanese beetles were so filled with fermenting blueberry juices that they were all involved in orgies of mating with each other. My innocent ten-year old found all this insect activity fascinating. I do not include a photo of these indecent beetles, this is a family site.